Garbolino is delighted to announce is has agreed a three year sponsorship deal with Ireland’s National Feeder Team. 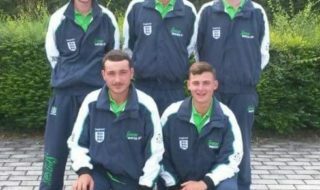 The deal which is valued at more than €14,000 should help the team which will be known as Garbolino Team Ireland Feeder develop further to compete at the highest level and who knows even get their first team medal on home soil this year! “We are delighted to have teamed up with the Irish National Feeder team! We have recently launched our brands into Ireland and we would like to focus our attention gaining some market share in the coarse/match sector with the Garbolino brand. What better way than to have Ireland’s National Feeder team using our products! I know most of these great guys personally and I know they will also work hard to promote Garbolino in Ireland for us. We have some fantastic feeder rods and related products so hopefully we can help them to do well in these championships over the next few years. 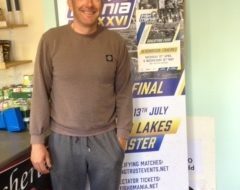 This year’s Feeder World Championships are to be hosted by the National Coarse Fishing Federation of Ireland at Inniscarra Reservoir, Coachford, Ireland this July. The NCFFI have undertaken a €400,000 project in their partnership with the ESB and Inland Fisheries to create a world class angling venue in County Cork for years to come. The venue is stuffed with roach, bream and hybrids and its set to be a feeder fishing bonanza with the event itself the largest with 25 teams attending. I am delighted to be working with Darren Cox, SERT and Garbolino on this three year sponsorship deal for the NCFFI National Irish Feeder Team. 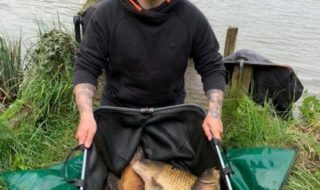 Aside from the great range of feeder products available from Garbolino, Darren’s experience of feeder fishing alone will prove invaluable to us. This is my first year in charge and I look forward to taking the new Garbolino Team Ireland Feeder to the World Championships on home soil this July.